Aws Albarghouthi is an assistant professor who studies the art and science of program analysis, verification and synthesis, with the overarching goal of making programs more reliable and programming easier and more accessible. 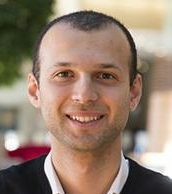 Albarghouthi received his Ph.D. in computer science from the University of Toronto in 2014, where he was advised by Prof. Marsha Chechik. His thesis introduced new software verification algorithms, which he implemented in an award-winning verification tool.